Living in Hawaii we have access to some of the freshest fish on the planet. Until recently I didn't even like fish. I was guilty of being one of those "is it a fishy fish?" Then I tried seared ahi. It was all over after that. I wanted to find different ways to incorporate healthy alternatives to our normal diets. We love sandwiches but we also loved bacon, chicken salad, egg salad, mayo, and pepperoni. We needed a change. We starting a detox meal plan that allowed us very limited varieties of food. We got tired of seared ahi and raw spinach. This is how we changed it up. 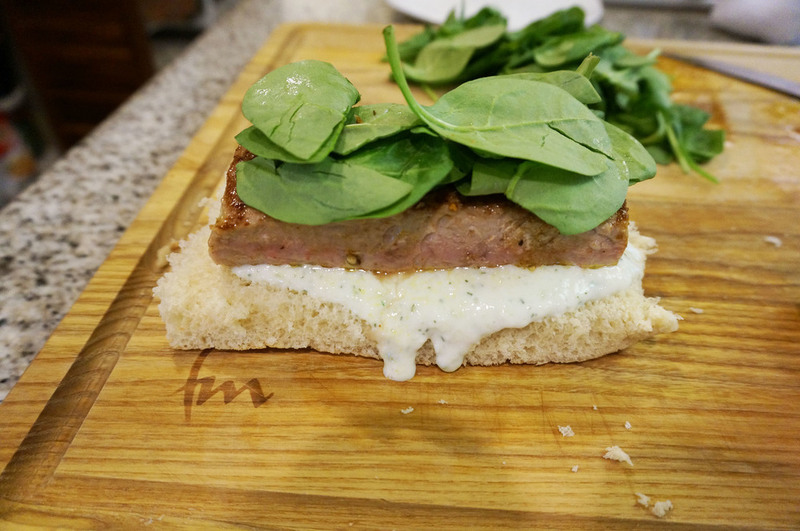 Pile your sandwich as high as you want with raw spinach and the fat free spread. Wash the ahi with cold water and pat dry with paper towels. Set aside. Take your two cups of yogurt, cut cucumbers, fresh dill, minced garlic, and lemon juice and place in food processor. Pulse until a thick mixture is achieved and the cucumbers are diced up. Place in fridge while you prepare the rest. Take a large skillet and turn to med high heat and pour in extra virgin olive oil. 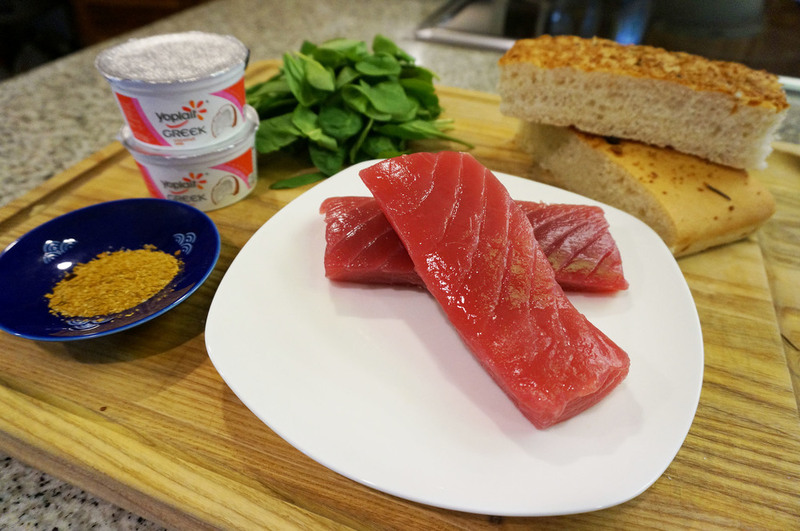 While pan heats up season your ahi with your curry powder, rubbing it in and letting sit for a moment. Place the ahi in the pan searing both sides for about 3 minutes each. You may cook all the way through if you like. Next cut your focaccia to fit your ahi fillets and toast them slightly. We used an olive and garlic loaf. These can be found at most bakeries or grocery stores. Then start to pile your ingredients. Starting with your spread. This is a fast lunch or easy dinner that will be sure to please and is light on calories but full on flavor. I was restless Monday night and wanted something sweet, didn't want to drive to the store, ran out of cookies, ran out of boozy cheesecake, now what? I saw a bag of sweetened coconut flakes that had been sitting in my pantry being neglected. There was no time like the present to use it up. I sat on my kitchen counter going through my recipes and I decided on a coconut cake. Since this was an impromptu dessert all pictures were taken with an iphone 4 and not edited. Nor did I take my time frosting it nicely. Well actually its normally a plain vanilla cake using buttermilk, egg whites, and sugar. I didn't have buttermilk and I didn't want to scratch my plan so I looked through my fridge. I saw the solution.... Yoplait Coconut Greek Yogurt. I just found it that day at Target and had to get some. What is the worst that could happen? I did a quick google to see if anyone else was using greek yogurt to substitute for ingredients. Buttermilk wasn't one of the common ones but I went a head anyways. To my surprise the cake came out moist and soft. For a frosting I wanted something without butter. I chose a fluffy white frosting. I love the sheen, texture, and the way the coconut sticks to it. You can substitute any frosting you want with this recipe. I have done it with chocolate, buttercream, and even a glaze. Now again I am by no means a professional just a tech geek showing my appreciation to the kitchen. Note: If at all possible let the eggs get to room temperature after separating them for optimal results. In a mixing bowl whisk together flour, baking soda, baking powder, and salt. In a stand mixer beat butter until soft. Then slowly add in the 1 3/4 cup of sugar continue mixing until the mixture is fluffy. Now start to add in the egg YOLKS one at a time, mixing well after each yolk. Make sure to scrape down the sides of the bowl throughout this process you want everything to be well mixed. Add the vanilla bean paste and mix till combined. Be careful not to over mix the batter. Placing the mixer on the low setting slowly combine the flour and yogurt alternately taking turns. Always begin with the flour and end with the flour. It should take you no more than 4 turns. When you run out of the yogurt continue the process with the milk. In a clean bowl with your stand mixer, whip the egg whites until foamy. Next add the cream of tartar and beat until soft peaks form. Then slowly stream the 1/4 cup of sugar and beat until stiff peaks form. Be careful not to over beat the egg whites. This is a delicate process but worth the patience. 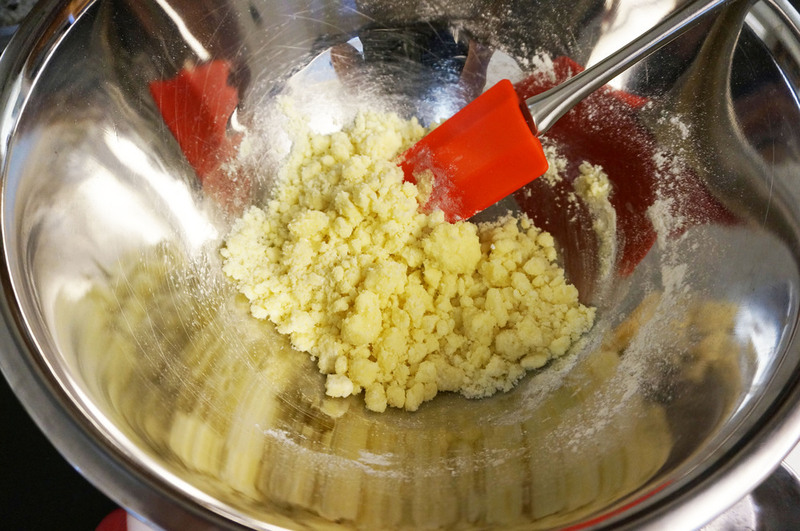 Take a rubber spatula and fold in the egg whites to the batter. Work quickly but gently do not deflate your egg whites. Divide the batter and pour into the prepared pans, smoothing the surface with the spatula. Bake for 40-45 minutes. The toothpick should come out clean. Cool for about 10 minutes on a wire rack. Then take the cakes out of the pan. Let cakes cool before frosting. In a saucepan, stir together sugar, water, and cream of tartar. Cook until the sugar is dissolved and mixture is bubbly. Medium high heat took about 4 minutes. In your stand mixer, whip the eggs whites and vanilla bean paste until soft peaks appear. Gradually stream the sugar mixture down the side of the bowl into the egg whites bowl, continue beating until stiff peaks form and nice sheen appears. Frost Cake and sprinkle toasted coconut around the entire cake. If you make cupcakes you can dip the cupcake upside down into the frosting and then dip into the coconut flakes. Place coconut on cookie sheet and spread out a thin layer. If the coconut is thicker in other areas the coconut will not toast evenly. Place in a pre-heated oven at 350 degrees and bake for about 4 minutes. The coconut should start to brown at this point, take your spatula and move the coconut around making sure to keep mixture from clumping. Then place back in the oven and keep watching until the coconut gets a nice toasty brown color. Be careful coconut can burn quickly. Overall takes about 7 minutes. Cheesecake has been an obsession for me ever since I was a little girl. It was rich and smooth and full of flavor. It was so versatile you could even put it on a stick. I wanted to make something that incorporated my two favorite desserts, banana fosters and cheesecake. At least thats what I had hoped, when I started this two day baking adventure. I wanted a cheesecake that wasn't too hard and had just the right amount and "gooeyness" yes, I said "gooey-ness." I had searched online and bought cookbooks in pursuit of the perfect cheesecake recipe. For years my go to recipe was always Kraft's Philadelphia Cream Cheese Cheesecake. I wanted more this time. So what do I do? Experiment. Take crushed cookies, crushed honey roasted macadamia nuts, 1/4 cup of sugar and pour in 1/2 cup of melted butter. 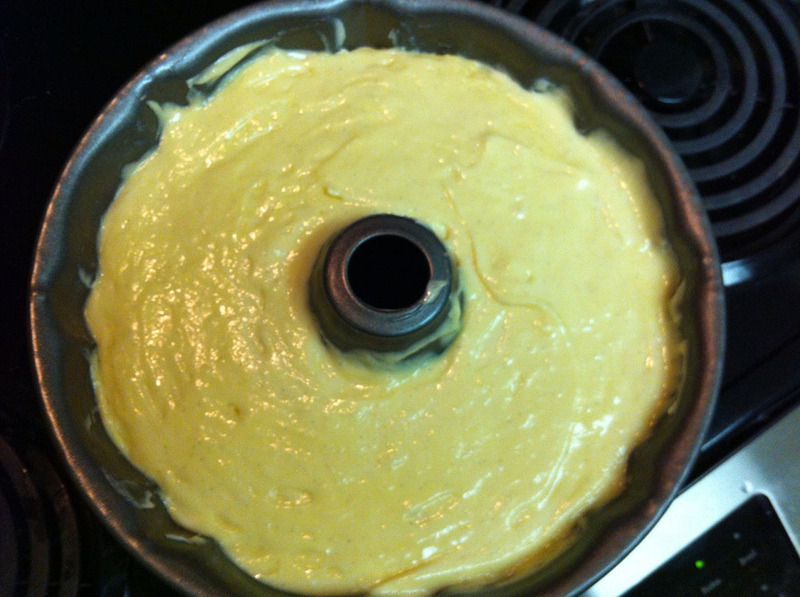 Then pour wet mixture into lined pan and slowly push down and out to form the crust. The crust should be firmly and evenly packed for best results. Then place in oven for about 10 minutes. Crust should be lightly toasted. Now this is a matter of preference. I prefer to pre-bake my crust while others do not. This will not effect the outcome of the cheesecake. Next take ripened bananas and smash until smooth. A fun tip is place bananas in stand mixer with paddle attachment and let the mixer do the work in a matter of seconds you have the smoothest banana paste. Then place mixture with browns sugar in sauce pan and bring to a slight bubble, add lemon juice, then pour in bourbon, and then vanilla. Let mixture cool completely and leave to the side. It is best if you use a stand mixer for these next parts. Next take softened cream cheese and whip for about 2 minutes until fluffy with the paddle attachment on. Slowly stream in the granulated sugar until completely combined. Then add in the eggs one at a time. Mixing well after each egg. Then add vanilla bean paste and mix quickly, be careful not over mix. Then take bowl and hand fold in the banana mixture. When nicely combined pour on top of crust. 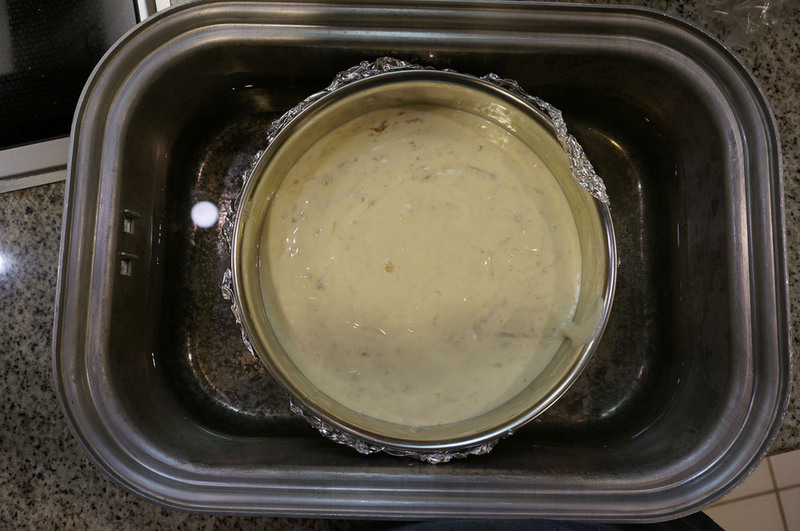 Then take large roasting pan and fill halfway up with hot water, you are going to create a water bath for your cheesecake. Place the cheesecake in water, making sure that the cheesecake does not get wet. Carefully carry to the oven and set inside. Should take 45 minutes to an 1 hour. If you notice your cake starting to brown to quickly lower the temperature on the oven to 325 degrees. The cake should not jiggle and center will be firm. Cool completely then chill for at least 7 hours. I left mine overnight. In a cold mixing bowl place heavy cream and whip until it thickens. Then add in powdered sugar and vanilla bean paste (optional) and whip till stiff peaks form. Place in piping bag with the tip of your choice. Cut the cake into preferred slice sizes. Each slice will get a dollop of whipped cream. For added decoration slice bananas and toss with fresh lemon juice to prevent browning. Stand the banana slice up in the whipped cream and sprinkle with extra cookie crumbs. I by no means am a fashion professional, but I have a passion for fashion. I have not always been comfortable with my body to wear all the latest trends and styles. Over the last year I have really grown into loving every odd part of my body and I have noticed since then my style has really come along way. Boy, let me tell you I needed it. I am a true believer of buying a few key pieces of great quality and constantly keep updating with accessories and trendy inexpensive wardrobe add ons. As this being my first fashion post I am excited to present my Spring Pop of Color. The petticoat in this dress makes this a fun flirty option and pairs great with the striped pumps. Accessorizing with a chunky boyfriend watch and stacked bracelets adds a little edge to this otherwise timeless look. The Hermes bag shown in the picture is a dream purchase, but I justify it as a well spent purchase. So after a long week of take out and more take out. We decided lets make our own sliders. Yes, I know they are the same as burgers but in small form. A few months ago we gave up using ground beef and now using ground turkey (attempting to diet and blog at the same time is really hard). I know some of you will judge me for our use of bread crumbs in the sliders but just keep an open mind. Also note we are cooking for a larger family. Place ground turkey, onions, garlic, bread crumbs, eggs, and 1 cup of teriyaki sauce into a large mixing bowl. Sprinkle salt and pepper to your taste. We used Hawaiian Seasoning, which included chili pepper flakes, Hawaiian rock salt, clover, and ground peppercorns. I went with something with a little kick to it because I chose a spicy teriyaki sauce. Then proceed to combine with hands, making sure to mix thoroughly. 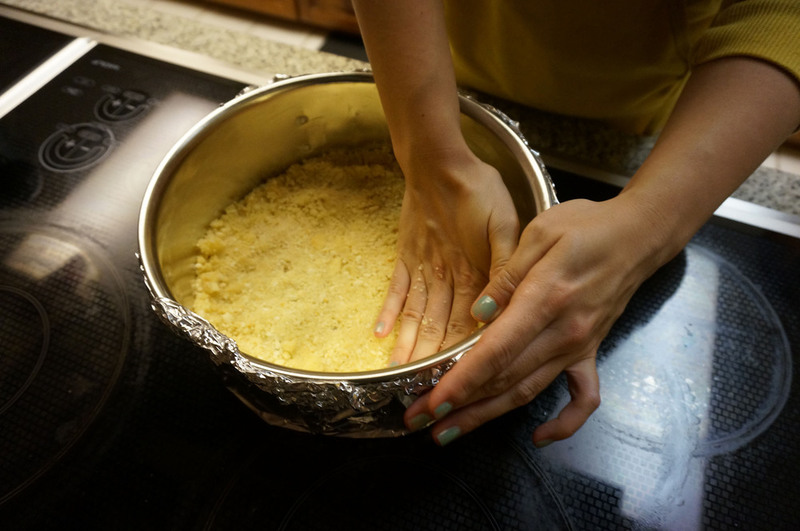 If the mixture seems too moist, add 1/4 cup of bread crumbs till you reach your desired texture. We had to go pick up family members from work so placed ours in the fridge covered with plastic wrap so the sauce marinated nicely into the meat. If you let the meat marinate make sure to bring the meat back up to a room temperature before cooking. Form sliders to make a patty with a 3 inch diameter. Now we fried our first batch and I decided to bake the rest. I've noticed that turkey burgers don't shrink as much as beef and take a little longer to cook. If you want to fry do it at med high heat with 2 tablespoons of EVOO. If baking, which I suggest, set oven to 375 degrees. While baking sliders, place sliced mushrooms and the rest of the teriyaki sauce in a sauté pan and place on med high heat. Cook the mushrooms until tender and the sauce will slightly thicken due to the sugar in teriyaki sauce, you want this to happen. Getting the sauce to a slight bubble is suggested. When the sliders are about done 10-15 minutes, place the sweet bread rolls in a pan and spray with pam. Place in oven for no longer than 4 minutes this will soften the rolls and warm them nicely. Now start to stack and smother. Place your desired cheese, lettuce, tomato, pickles, and mayo on top of sliders, along with mushrooms, and sauce. Finally enjoy. I've never been to momofuku milk bar, but I dream of it. I've seen blogs, instagrams, pins, and tv shows talking about it. I truly think its what dreams are made of. So we set out to make our first recipe from there. After lots of research and by research we mean gawking online at pictures and reviews. 1. Preheat oven to 220 degrees. Line a baking sheet with parchment paper; set aside. 2. In a medium bowl, whisk together 2 tablespoons plus 1 1/2 teaspoons milk powder, flour, cornstarch, sugar, and salt. Stir in melted butter until well combined. Spread mixture on prepared baking sheet and transfer to oven. Bake until dried and crumbly, 8 to 10 minutes. Remove milk crumble from oven and let cool completely. 3. Transfer milk crumble to a large bowl and fold in remaining 2 tablespoons plus 1 1/2 teaspoons milk powder and white chocolate. Use immediately or transfer to an airtight container and keep refrigerated until ready to use. (6) Arrange the chilled dough a minimum of 4 inches apart on parchment- or Silpat-lined sheet pans. Bake for 18 minutes [Mine were done at 15-16 minutes, don't overbake!]. The cookies will puff, crackle, and spread. After 18 minutes, they should be very faintly browned on the edges yet still bright yellow in the center; give them an extra minute or so if that’s not the case. Tonight we set out with a mission to make a fun dinner that was easy to munch on while we watched Walking Dead. We wanted pizza but didn't want to wait for the dough to rise. I then thought about the store bought pizzas, bagel bites, and then it hit me. I LOVE pizza rolls. I can pop an entire bag in one sitting, Im not proud of this but it makes me happy. I perused through thousands of Pinterest Pins, Food Gawker photos, and settled upon a recipe calling for won ton wraps. Intrigued, I continued. I never put the idea of won tons and pizza together, I could see my Chinese ancestors shaking their heads in vein. I didn't like the sauce or even the stuffing so I decided to create my own. For speed and conveience I used store bought ingredients you have laying around the house. Place EVOO in skillet and place on med high heat. Adding garlic and lightly sauteeing until a nice golden color and fragrant smell fills the air. Next add the can of diced tomatoes and 2 tablespoons of tomato paste. Stir until paste is completely mixed in. Add the rest of the sauce ingredients and simmer until sauce thickens. Now you can make this ahead of time and store in the fridge, the sauce should be chilled when working with it. Me being impatient I put the sauce on an ice bath to bring the temp down. Next dampen a large paper towel and place over the wraps, you don't want them to dry out while working with them. Next mix the cheese and pepperoni together in a bowl. I added a little extra italian seasoning but its up to you. I doused the surface I was working on with cornstarch to prevent sticking, some of the recipes called for corn meal or flour. Place the sheet on the surface and put a teaspoon of stuffing and a teaspoon of sauce on the sheet. Fold over to create a triangle shape and seal with a fork. You can use a deep fryer set to 375 or bring a large dutch oven up to 375 filled with oil of your choosing. Using a fry basket dropped the roll into the oil and cook until nice golden brown color appears. These are great for a fun meal with friends or a fun date night snack. Use the extra sauce for dipping and remember to have fun with it. Be creative with sauces and toppings. I was thinking maybe next week we can make a dessert version or a white pizza with Alfredo sauce. 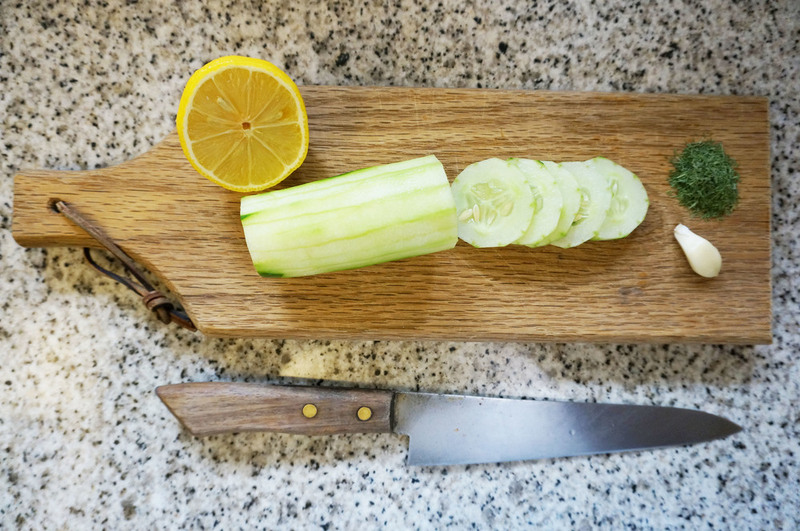 I am not a genius in the kitchen or even a talented food photographer but I am learning and would love any comments and suggestions from my fellow bloggers out there. Enjoy! I am a tough critic when it comes to cookbooks and recipes especially when it comes to baking. Growing up in the kitchen watching my grandmother bake, is a memory that stayed with me forever and left me with a life long passion. We honestly didn't see eye to eye on anything but the kitchen. Her with her bows and ribbons and me with my scrapped knees and ripped dresses, we would quietly mix, pour, and frost our hearts out all afternoon long. Neither of us would say a word and we would return to our respective worlds after the last cookie was done. I remember looking up at her shelves and seeing hundreds (not exaggerating) of cookbooks. She clipped newspaper recipes and filed them away meticulous, storing them in her recipe box. Handwriting great recipes then swapping them with her friends. Shortly after that is when the real magic happened. It was a cold Christmas in Incline Village when I got my first cookbook, "Walt Disney's Mickey Mouse Cookbook: Favorite Recipes from Mickey and His Friends," which to this day I still have. It started a life long obsession. There is something about walking out of a store with a new cookbook under my arm. So when I saw the article about Thomas Keller's Bouchon Bakery Cookbook coming out this fall I knew I had to have it. I checked my local Barnes and Noble regularly (not the same buying online.) Committed to making this book mine I didn't give up. This week out of sheer coincidence I was picking up a book for my day job when I saw it from across the store. Literally running to the cookbook section I picked it up. It was a gigantic book by any standard. Too excited to drive I sat in the car and started reading. The pictures were bright, detailed, and organized the recipes have great tips, and conversions. I was SOLD!! In this book Thomas Keller and his Pastry Chef Sebastien Rouxe shared recipes that put their bakery chain on the map. French Laundry was a little daunting for most home cooks but Bouchon Bakery is very approachable. 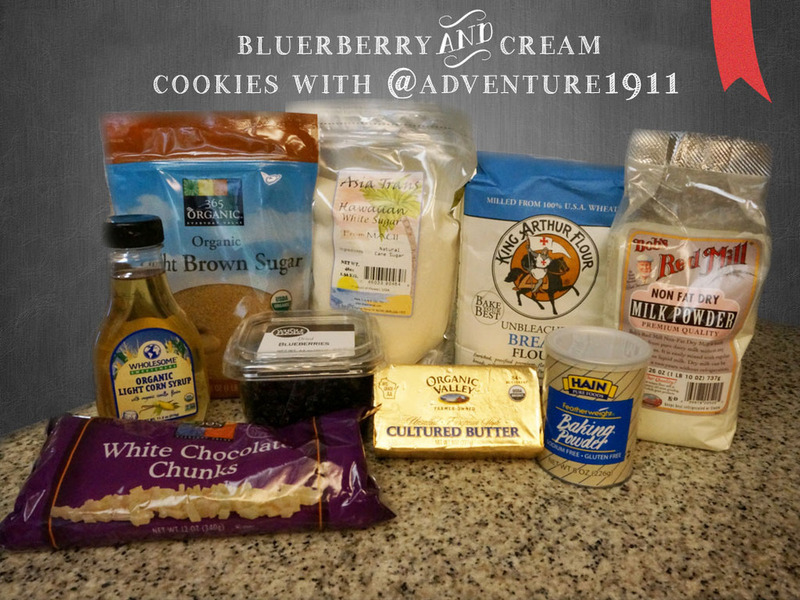 Breaking sections up by cookies, breads, muffins, scones, etc... Giving tips on resting batter and making sweetened whipped cream. 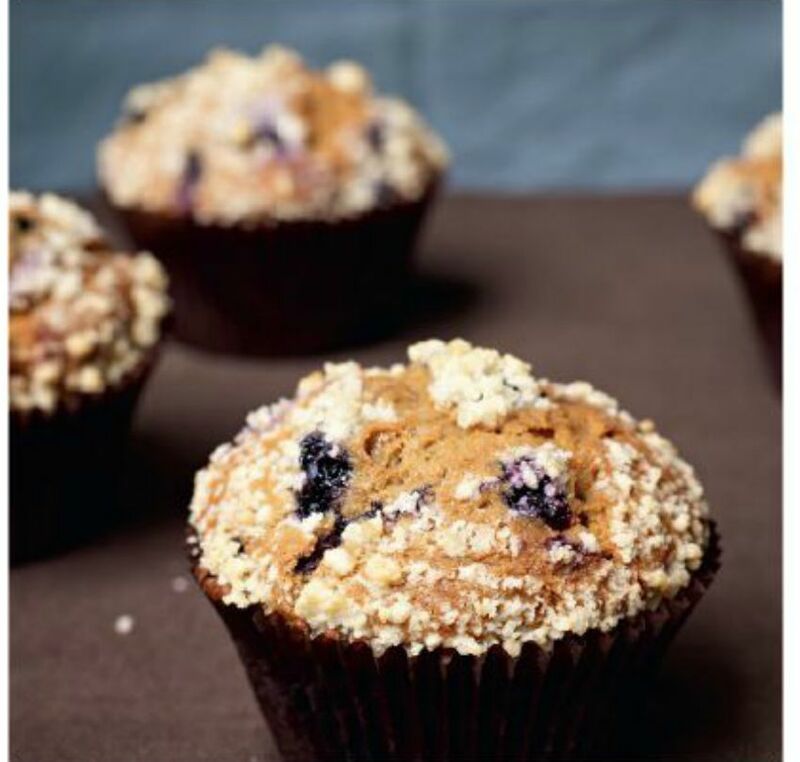 I looking forward to making the blueberry muffins with almond streusel this weekend. Stay tuned for a weekly update on recipes and reviews of Bouchon Bakery Cookbook. Anyone have a favorite recipe so far? Email me your pics and reviews and we will post it here.